AliExpress - is a global e-commerce platform made up of small business sellers offering a wide variety of consumer products worldwide. The platform enables consumers from around the world to buy directly from wholesalers and manufacturers in China and have access to a wide variety of products at wholesale prices. AliExpress is a business within Alibaba Group. Earn 7% for sales on all products except mobile phones, mobile accessories and marketplace products, 3% for sales on mobile phones and mobile phone accessories and 0.8% for sales on marketplace products. Best Pay - are the preferred umbrella company for UK contractors. We offer a range of pay solutions for UK contractors in various industries, from Medical and I.T through to Arts, Media, Oil & Gas and Gambling. Our affiliate network is open to all B2C and B2B affiliates. We accept PPC, SEO, Email, Social, Display and programatic traffic in CPC, CPL, CPM, CPA, Rev Share or hyrid models. We target high income individuals so our pay outs are high and conversion rates are over 25%. There is no cap on how much you can earn! We will help you make good money! CPL: £20; CPC: starting from $0.25; CPA: £100- £800; Rev Share: 25%. Sales will be verified on the platform. Tier structure: 1-1000 leads £20; 1000- 2000 Leads £30; over 2000 Leads £40. ClickMeeting - World’s leading webinar solution for business. ClickMeeting was founded in 2011 by GetResponse, the leading email marketing platform. The idea was to provide a complete webinar solution for businesses, large and small. Over the next five years, ClickMeeting grew so much that, in 2016, it spun off as a separate company. Our mission is to be the premier provider of flexible, self-service webinar solutions that help you reach, engage, educate, and convert your audience. ClickMeeting is rich in features that help you before, during, and after your webinar. ClickMeeting is developed and managed by a growing group of talented and, yes, really cool people. We believe in a healthy work-life balance. We work hard but, at the same time, keep sane work hours so we can pursue our passions outside of the office. Earn 30% commission on sales. ContractStore - offers a full range of legal document templates for business. Several lawyers contribute to our catalogue, each with expertise in different areas of commercial and construction law. ContractStore offer a unique range of international contract templates including documents for doing business in China. Refer your site visitors to ContractStore's expert legal template catalogue and earn a 20% commission on their purchases for up to 30 days. Through your account you can track your commission balance in real-time. You can easily select a specific contract to refer your visitors to - very useful as we offer everything from the Appointment of an Architect to a Licence for Sporting Rights. DIY Accounting - is a leading UK supplier of accounting and payroll software to small and medium business. DIY Accounting Product Overview: DIY Accounting software, payroll software, company formation, small business software, small business accounting software, small business accounting, self assessment tax return, payroll, payroll software, income tax, national insurance, limited liability company. Business accounting software are designed on excel spreadsheets which makes entries fast and easy and also being based upon single accounting entries rather than double entry makes the systems suitable with no previous knowledge of accounting required. It is essential that excel is on your computer for the accounting software to work. Affiliate program is free to join, provides content for affiliates and pays up to 30% commission plus 50% second tier commission to affiliates referred to build a substantial residual income. Install our Windows desktop application (CommissionAlert) and get notified of new commissions right on your desktop! This feature is optional to use. euroffice - is an online provider of products and services focusing on the needs of the small-to-mid sized European businesses. The company offers 15,000 office products at 20%-80% off retail prices, low price guarantee, free next day delivery (orders > £30), free no-hassle returns and free 30-day credit account facility. They stock everything for your office from files and folders to flipcharts and water filters. Euroffice pays you 5% commission on sales. Expend - is the smarter Mastercard for businesses, but it doesn't stop there! Expend is a flexible suite of tools to revolutionise business spending, reporting and expense management. Consisting of a smart payment card, account, management dashboard and mobile app. Featuring automation of expense filing, instant tracking of spending and easy management of employee expenses. Expend’s automation frees up more time for people to spend running their business and doing what they love. With low-cost price plans to suit your needs, including travel-friendly options with free international transactions (0% mark-up on foreign exchange). Companies that use Expend benefit from giving every employee an Expend smart Mastercard, Avoid high credit card limits and overdraft charges, a sort code and account number for faster and recurring payments and can decide individual limits and budgets. No Credit checks are required to sign up to this service, however identity checks are required before a company can issue cards to their employees. We offer extremely attractive commission structure which is extremely competitive in the industry. We offer £5 per paying user when they sign up to a monthly plan and £10 per user when they take out our annual plan. GDPR Templates Kit - GDPR Templates Kit is one of the best-selling toolkits for small and medium-sized companies to save time, money, and effort in becoming EU GDPR-compliant. We offer the following affiliate terms: 50% commission on every sale; One of the best selling GDPR Toolkits on the internet; £98 ($136) average order value; 30 day cookie, so you get the commission if a customer purchases within a month after you referred them to us; Choose from our variety of banners, your own banner, or just a text link. Law Depot - LawDepot's Affiliate Program is the highest paying commission-based affiliate marketing program in the online legal industry, with a commission rate of 30% for every sale you help us make. We are the leading publisher of do it yourself legal documents and have over 10 years' experience. Our wide variety of legal documents sells themselves since we save our customers unnecessary legal fees and time. We provide a full marketing and technical support team that is dedicated to making our affiliates successful. Join our program today! 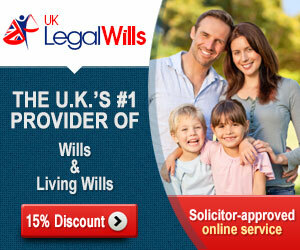 LegalWills.co.uk - As one of the leading online Will writing services in the UK, we have helped tens of thousands of people prepare these important documents. Our basic Will service costs £24.95, but extra services including lifetime unlimited updates can take the average sale up to £150. Our Affiliate program allows you to configure a discount for your clients and a commission to yourself of up to 30 percent of any purchase. Sign up as an affiliate and we give you all of the html snippets you need to embed on your website. No minimum balance required in order to receive payment. We provide all support for all of your clients, by phone, email and live chat. Earn 15% commission on sales. Marketsensus Online Market Research - Marketsensus is a leading supplier of market research, providing customers with quick, secure, 24-hour access to downloadable reports. Give your customers access to Marketsensus's breadth of market research covering all market-sectors from consumer products to manufacturing. Make money - Marketsensus pay 10% commission on sales generated by affiliates. Enhance your website by offering your visitors links to products and services that benefit them. Monster B2B - is the worldwide leader in successfully connecting people to job opportunities. We are looking to create successful and long standing partnerships with affiliates in order to promote our hiring side products. The Monster hiring homepage, hiring.monster.co.uk, provides customers with a simple recommendation that will best suit their hiring needs in the form of Job Ads, our most popular product. At Monster, we use our experience to understand the intricacies of the specific position employers are looking to fill in – the combination of job description, skills required, experience necessary and job location that's unique to the employer, to give them their recommendation on which product from our portfolio is the right one for them. No need to puzzle over ad duration, bolt-ons, delivery channels – it's our job to ensure the ad gets the exposure it needs to get in front of the right candidates at the right time in the right way – and for the right price too! We evaluate the vacancy and match it to relevant candidates from our 3.5m active CVs; we give it the exposure it needs both on monster.co.uk as well as our big network of distribution and job syndication to ensure it gets in front of the right eyes wherever they might be, from mobile, to social, to local; Monster automate as much as possible, to streamline the process and free up employer's time to focus on what's important: reviewing their applicants. Prices for a Job Ad range from £140 to £265 with the option to add extras such as logos and bolding at a small cost. Earn 10% commission on sales. Official Deedpolls - New UK deed poll service, cheaper, quicker and better customer service. 200 thousand people in the UK change their names every year, for a variety of reasons and most consumers simply pay too much for their deed poll to be prepared, either by high street solicitors or online deed poll companies. Official DeedPolls has entered the market to make the process of changing your name, cheaper, quicker and with less hassle than ever before. using technology, we have simplified the process, aming it ideal for the online consumer to quickly and simply change their name officially on all official documents such as passports, DVLA, Council Tax, Welfare benefits etc. With over 200,000 people estimated to have changed their names by deed poll in 2013, this is a market ripe for change. With our easy 3 step ordering process customers can order their legal change of name deed in seconds with next day delivery assured. We have 15 years experience of delivering low cost legal services, online,and are providing the best deed poll service in the UK by far. We will be offering a generous commission and discount codes to our marketing partners. We will also accept ppc only affiliates. Average order is £39.99 which includes certified copies. Earn 20% commission on sales. Ryman the Stationers - offers superior quality office supplies, excellent customer service and a fantastic product range. Ryman the Stationers is a long established office product and stationery retailer, specialising in providing quality products to the home office, small office and student market. Ryman's online store carries their full range of merchandise and additional Internet only products and Ryman's pride themselves in being able to source all office-related products for customers. There’s no limit to the amount of money you can earn. Ryman the Stationers will help you make the affiliate partnership successful with up to date banners and content. Ryman have a large number of customers, and huge brand recognition among the UK, with a fantastic product range and exciting promotions each month. Earn 3% commission on sales. Staples UK - are owned by Staples, Inc. who invented the office superstore concept in 1986 and today is the world's largest office products company with annual sales in excess of $15 billion. Staples, as a group, serves consumers and businesses ranging from home-based businesses to Fortune 500 companies in 21 countries throughout North and South America, Europe and Asia and employs over 60,000 associates worldwide. Staples UK Delivery operates the catalogues and online shopping services in the UK, providing a range of over 6,500 office products, with Free next day delivery (on all orders over £30 ex. VAT), Very competitive pricing, 30-day trial on all products with free returns policy, Minimum 12 month guarantee on all products, Up to 60 days interest free credit (subject to status). The Staples Affiliate programme has two levels of Affiliate commission; Standard (less than 30 sales per month) Staples Standard affiliates earn 5% commission, Premium (30 or more sales per month) Staples Premium affiliates earn 7% commission. 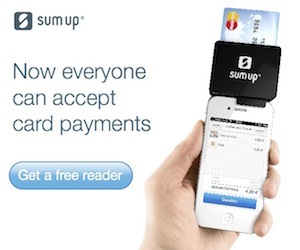 Sum Up - SumUp is an innovative and easy way to accept mobile credit and debit cards on a smartphone or tablet today. No terminals. No monthly fees. No hidden costs. Our affiliate program is free to join, easy to sign-up and requires no technical knowledge. We provide our affiliates the opportunity to earn considerable commissions from their merchant referrals via three attractive payout structures. Get paid for each lead, valid web registration, each fully verified/active merchant or all three! Earn €15.00 for each referral you send to Sum Up. UK Office Direct - is a privately owned limited Company established in 2002. We are now a very dominant internet brand with over 150,000 registered users. The customer does always come first with us and we take pride in being able offer them low prices and the best service every time. We sell an extensive range of over 25,000 office products, including most popular brands and target small to medium size businesses, government and educational establishments along with home users. Delivery is nationwide and is on a next working day basis via national couriers. By joining the UK Office Direct affiliate program you will be able to share in the company’s successful growth and earn up to 15% commission on ever sale you generate with a generous 60-day cookie period.